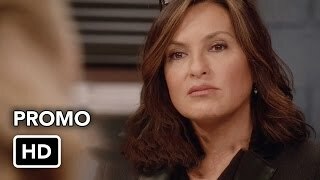 Law and Order SVU 16×16 “December Solstice” – Celebrity author Walter Briggs (guest star Robert Vaughn) is the focus of a feud between his sixth wife, Charmaine (guest star Marcia Cross), and his daughters from previous marriages (guest stars Emily Bergl and Susan Pourfar). The fight over control for both his well-being and his estate becomes a criminal case when Charmaine is accused of abusing her husband. Meanwhile, Barba (Raul Esparza) struggles with his own family drama when he goes against his grandmother’s wishes. 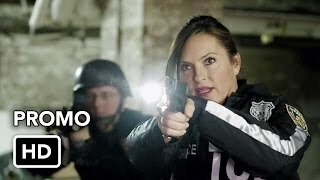 Also starring Mariska Hargitay (Sgt. Olivia Benson), Danny Pino (Det. Nick Amaro), Kelli Giddish (Det. Amanda Rollins), Peter Scanavino (Det. Sonny Carisi). Also guest starring Susie Essman (Counselor Arlene Heller), Jennifer Van Dyck (Dr. Brenda Tedroe), Mercedes Ruehl (Lucia Barba) and Judith Delgado (Katerine).